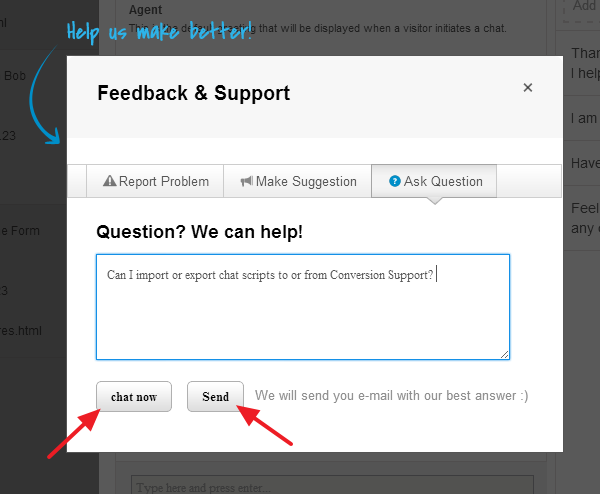 You can use Conversion Support’s feedback and reporting tool to report problems directly to our development team. If you are having issues or need any help, please use the reporting tool to inform us about the problem you are facing. We take customer feedback very seriously and try our best to resolve issues at our earliest. 2. 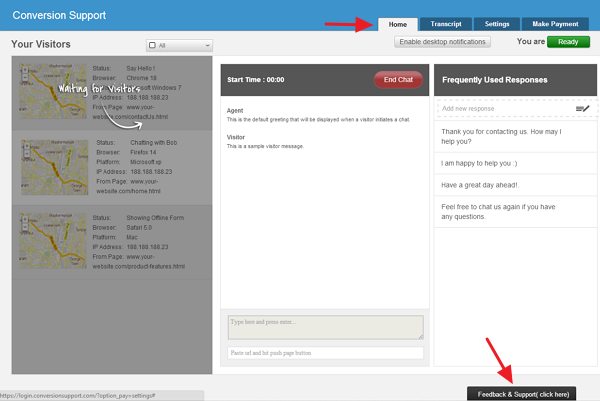 The “Feedback and Support” button is available at the bottom right corner of the webpage. Report Problems - If you are having issues with your Conversion Support account or if you are having problems using a specific feature of Conversion Support, use this tab to report the problem. 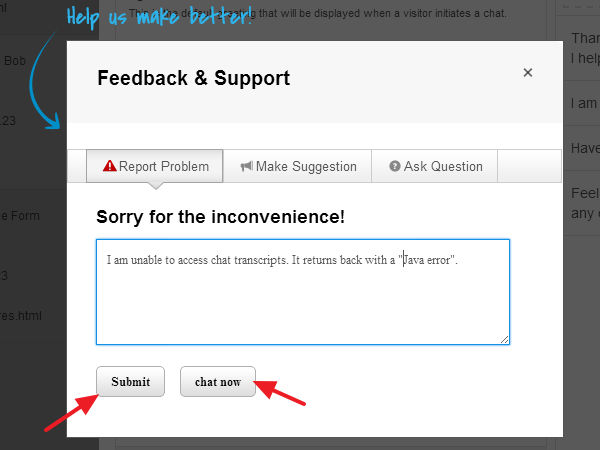 If you need immediate help, click on the “Chat now” button and initiate a live chat with our support executives. 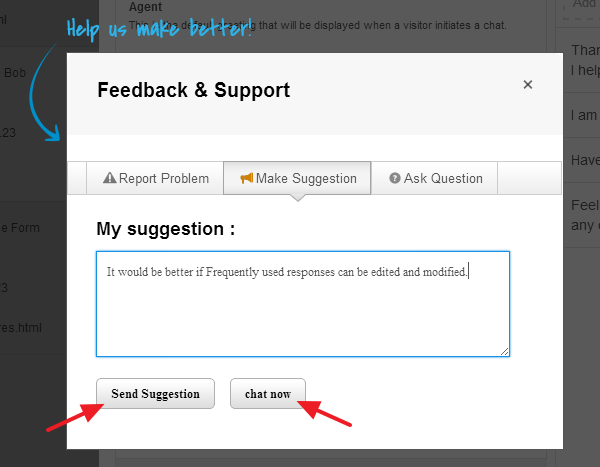 Make Suggestion – If you have any suggestions or want to send us your valuable feedback, use this tab. Ask Question - If you want to ask a question to our support and development team, use this tab.